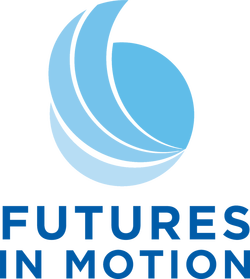 Futures in Motion | Programs - Futures in Motion, Inc.
What if the best really is yet to come? What would you want that to look like in your life and career? ✔ “I’m just going through the motions. I want a more meaningful career, but I don’t know how or where to start." ✔ “I have a lot of of career interests, and I'm having a hard time deciding the best direction for my goals." ✔ "I have no idea how to find a career that uses my skills and interests." If you can relate to those statements, keep reading, this course is for you. Loss and personal challenges can blur your career and life vision. It throws off your sense of purpose and direction. It can make you feel like you’re on a road to nowhere, and that’s unsettling. Rebuilding or redirecting a career can be really confusing, and it’s hard to take the first step. Sadly, too many people stop before they give themselves a chance. But, there’s hope! You may be surprised by how quickly you gain momentum once you know how to get started and take action. Enrollment is easy. Just click the button below to get started today! Embracing my new normal to move from surviving to thriving has been the hardest thing I’ve had to do! It wasn’t easy, and it didn’t happen overnight. It took time, focused action and a lot of hard work. But, it’s been rewarding. Today, I have a sense of purpose. I have dreams and goals again. I’m in a place I never could have imagined. I look forward to connecting with you through the course and am excited about what you’ll discover!